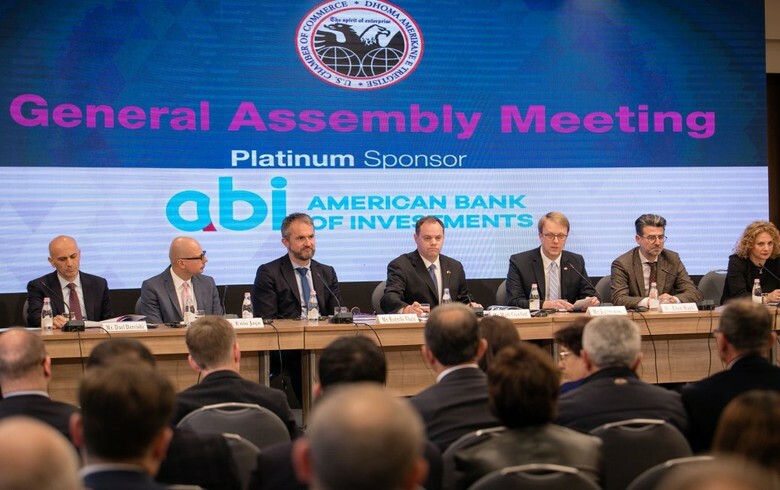 TIRANA (Albania), April 15 (SeeNews) – Monopoly and the unfair competition are the main concerns of the members of the American Chamber of Commerce in Albania, its president Mark Crawford said. The second biggest concern of business members is finding qualified local staff, Crawford said in a press release last week, following the presentation of the AmCham business index 2018 – 2019 at a general assembly meeting. The index has increased by 0.71 points compared to the previous year, reaching 43.16 points, Crawford noted, adding that unlike last year when taxes were the main concern of businesses, this indicator has marked an improvement by 6.4 points. According to deputy Chief of Mission in charge of US Embassy in Tirana, Daniel Koski, the justice reform will solve a lot of problems that businesses have faced and will be a crucial factor in helping to create a good business climate, not only for Albanian companies but also for foreign and US investors. “A reformed judicial system will guarantee the inviolability of the contract. The foreign and local investors ask that contracts should be respected and enforced. Investors should be ensured that that they will be compensated for the sale of their products and services under the terms agreed by each party,” Koski noted, as quoted in the statement.